The second and third floors of Building 30 each contain a Mission Operations Control Room (MOCR), pronounced “mouker”. The second floor contains MOCR 1 and the third floor contains MOCR 2; the National Historic Landmark now called the Apollo Mission Control Center. 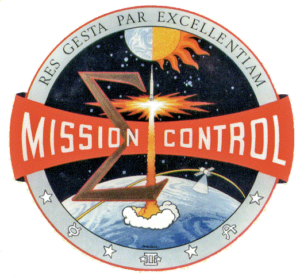 The two MOCRs are not identical and they changed roles, as well as configurations during Gemini, Apollo, Apollo-Soyuz, Skylab and the Space Shuttle. The whole building complex changed again after the Shuttle Program was cancelled and the operations shifted to the International Space Station. See the Positions section for the consoles that were in MOCR 2 during the lunar landing missions.